Between job requirements, commuting to work and school, extra murals, the latest Minecraft or Spinners, how does one win the battle of raising an all-rounder child? Inevitably, something will fall between the cracks. Don’t let it be your child’s love of books. Raising a boy who finds joy in reading sounds easier said than done, but, in the long run, it’s a battle worth fighting. Your mission is finding your way through the maze of everyday activities and temptations towards a half-an-hour bedtime reading. Often disregarded, yet effective, reading equips children with much-needed life skills. Reading has educational, neurological and psychological benefits stimulating children’s developing minds and improving their emphatic skills, helping them socialise at school and thrive in life. To better understand this let’s see how reading happens. 1. Phonics: Associating a speech sound to each letter. 2. Sight: Some English words must first be recognised as a whole, then sounded (“the”). English vocabulary has 26 letters, yet when reading we use 44 speech sounds, 20 vowel sounds and 24 consonant sounds. Thinking skills are therefore involved. 3. Contextual analysis: Prediction of what will happen next. 4. Structural analysis: Understanding what a word means by looking at its root or figuring out its meaning from the context. Here are the five steps on how to get your son to read – and loving it. 1. Visit the local library together, find books that interest him. Let your son wander around the library, pick a book and sit down to page through it. Find books geared at your child’s age group and interests. Read aloud to your son from as early in infancy as possible. Research shows that children who were read to as infants have higher chances to grow up with a love for books. If your son can read, take turns reading aloud every day. Let your child read to you and don’t worry if he is mispronouncing some words. Rather allow him the pleasure of having finished that page. 2. Leave reading material around the house, reading means more than books. 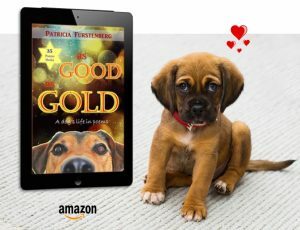 Be it a picture book, a magazine, a joke collection, or even a comic book, you want your son to pick it up and enjoy a page or two at a time. How-to books on sport or another interest might be a great place to start getting a boy interested in reading. Never make reading a chore. Rather surround your child with books than forcing reading on him. Place a bookshelf in his room and allow him to choose a few books he’s really interested in. 3. Read yourself… and make sure you get caught reading. Children often mimic what they see, not what they hear and we, as parents, are our children’s mirrors. Waiting for your son to come out from school? Read; keep a book in the car just for this reason. Going to the Home Affairs for your son’s passport renewal? Take a book with you and allow your son to see you reading in public. There’s nothing to be ashamed of when we’re reading. Modern day technology allows you to download eBooks on your phone. It is a casual way to get boys comfortable about reading in public. 4. Get dad, an uncle or a grandfather involved. Get Dad to read too if your son struggles with reading. Try a father-son book club and perhaps get involved with other dads and their sons. Make it casual, have a BBQ-Book Club or a campfire. Pair books with an activity, away from technology might also help. Remember, having positive role models helps both boys and girls stay interested in reading. 5. Start a reading list and have a rating system – think about it like a sport. Write down what your son reads and what he would like to read next. Allow him to rate the books, group them in categories. This way you can both see where his interests lay and he can feel more in control over his reading. Explain to him that reading is like a sport, it takes practice to get better at it. Being a good reader will make learning during school years and tertiary education a lot easier. Reading entails an understanding of what is being said behind the literary meaning of the story, connecting that information to what we already know, relating to it and drawing knowledge from it. Reading is the capacity of focusing on a task for a certain amount of time. And these skills, like the pieces of a puzzle, are what later help children experience a successful schooling career. For this is what reading entails, being able to focus for a prolonged time. Or at least until Mum or Dad come to switch off your light and forcefully remove the book from your hand because… tomorrow is school. “Joyful Trouble, a book that reads like a movie”, an Amazon Bestseller. Raising a boy who takes pleasure out of reading books just as much as from a soccer ball or a Play Station might sound easier said than done, but, in the long run, it’s all worth it. There are lots of books there that can stand on their own two feet and win the battle against a Nintendo, a Xbox or… even Minecraft! 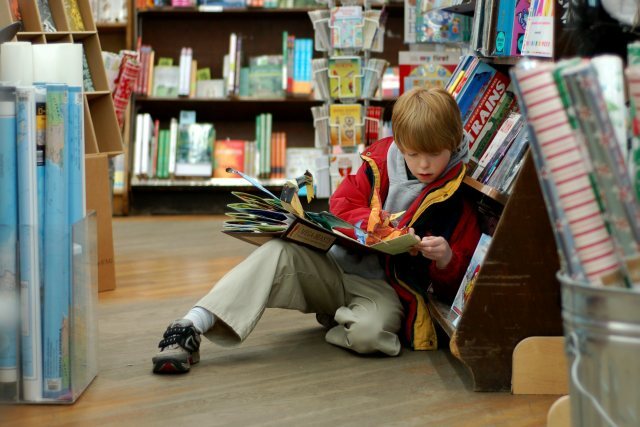 Here are five easy steps to get your son to enjoy reading. 1. Visit the local library together. Let your son wonder around the library, see a book and sit down to page through it. Don’t rush him. Find books with little text and lots of images geared at what your child is interested it. Then slowly move to books with short chapters. If your child struggles to read himself, then read to him, aloud, every day. He’ll still get to enjoy the story without feeling frustrated and books will still be a positive experience for him. Until he’ll enjoy them by himself. Be it a picture book on his favorite topic, a magazine or a comic book, you want him to pick it up and enjoy a page or two at a tiem. How-to books on sport are a great place to start getting a boy interested in reading. Never make reading a chore. Rather surround your child with books, rather than forcing it on him. Place a bookshelf in his room and allow him to choose a few books to place in it. Children often mimic what they see and we, as parents, are our children’s mirrors. Kids, especially boys, love silly books. Books with jokes are a great way to get them reading, sometimes even without them even noticing they are doing it. Get Dad to read too if your son struggles with reading. Even better, try a father-son book club and perhaps get involved with other dads and their sons. Book clubs are not only for girls – have a BBQ-Book Club, for example. Remember, having positive role models help both boys and girl staying interested in reading. 5. Start a reading list by writing down what your son read and what he would like to read next. Allow him to rate the books. This way you can both see where his interests lay and he can feel more in control over his reading. 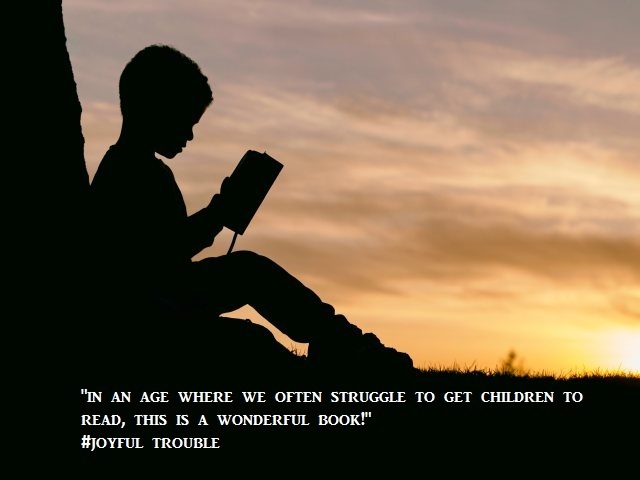 Studies show that children who have been introduced to books from an early age have a positive attitude towards reading and a greater chance to become successful readers. But a successful reader isn’t only someone who devours one book after another. A successful reader will also understand what the story line is about, will get its meaning and will also be able to focus on the task at hand for a longer time. For this is what reading entails, being able to focus indefinitely. Or at least until Mom or Dad come to switch off your light and forceful y remove the book from your hand because… tomorrow is school. 5. 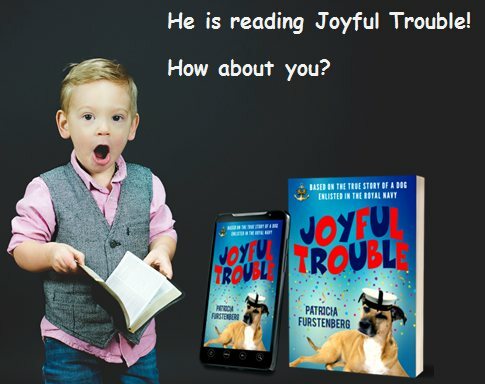 Joyful Trouble a fun read about a real dog and World War I, Best Gifted Young Adult book in UK. Originally written for Red Tricycle here.